Once an exhibit has been showcased at the Museum for a rotation, it becomes available to other organizations as a Traveling Exhibit. 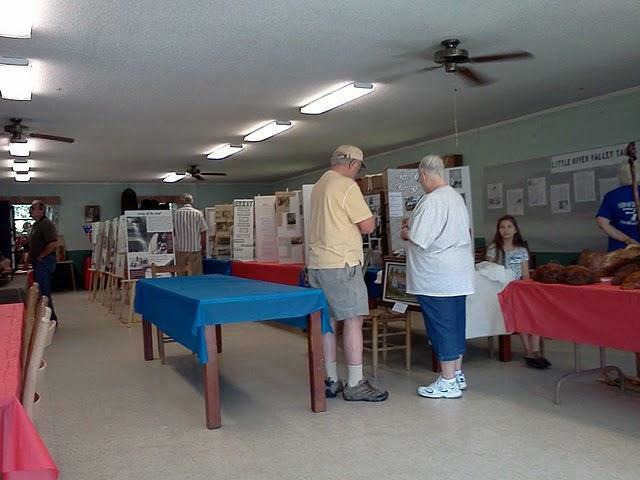 These exhibits can be set up on easels and used for special programs, events or activities throughout Transylvania County. The Transylvania Tapestry-This exhibit consists of ten, 24 x 36 inch, portrait oriented interpretive panels that explores the many different people who have come together over the centuries to create the Transylvania Tapestry. The Story of Rosman-This exhibit consists of ten, 18 x 24 inch, landscape orientated interpretive panels that tell the story of how Rosman came to be, what it is, and what it hopes to become. Roads, Rails and Trails-This exhibit consists of 10, 24 x 36 inch, portrait orientated interpretive panels that explores the ways and means in which people have come to the area we now call Transylvania, and how the changes in transportation over the years influenced changes in the county. A River Runs Through It-This exhibit consists of 6, 24 x 36 inch and 3, 18 x 18 in portrait oriented interpretive panels, 3, 8 1/2 by 14 inch landscape oriented 'Quote" panels. Transylvania County is blessed with rivers, waterfalls, and creeks. This exhibit explores the many rivers and streams in Transylvania County.